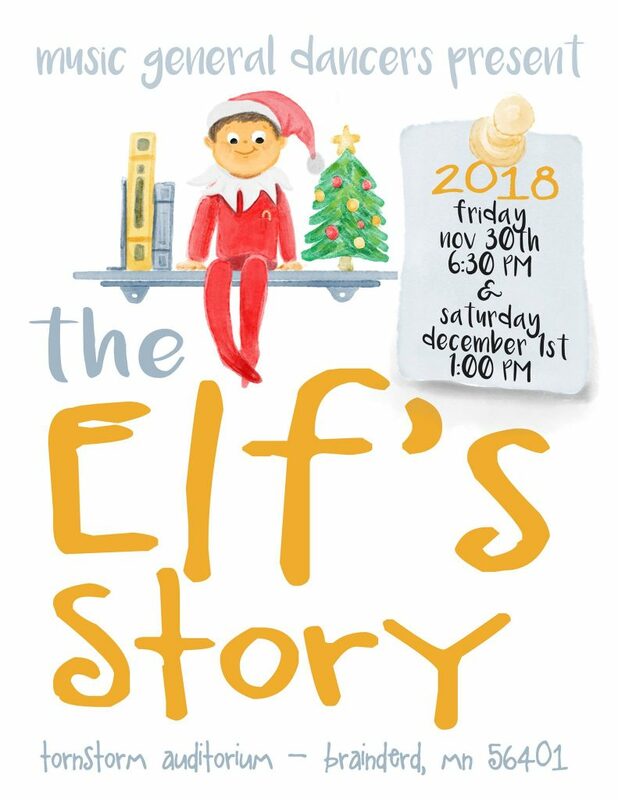 Please join us for our 40th annual Holiday Show “An Elf’s Story” at Tornstrom Auditorium. Get into the Holiday spirit and watch some very talented dancers performing ballet, tap, jazz and hip hop routines to new and old Chirstmas music. We will also have our favorite “MG Dancin’ Dads” performing. This is one show you do NOT want to miss! !